Hello! Hope your Wednesday went well. Mine's been pretty low-key, and I was even able to sneak in a nap this afternoon. Bliss! Tonight I'm baking Evan's birthday treat: strawberry-rhubarb crisp. Doesn't he just have the best requests?! I have to share a new tofu marinade with you. I usually stick with this sweet & spicy one, but I've been making it a lot lately. Like once a week. I decided to branch out and try something new - so glad I did! I've always been a fan of balsamic vinegar. It has such a deep flavor and a nice zing to it. So when I was brainstorming new marinades, I knew balsamic would be a great addition. This was so delicious and unbelievably easy to make. I followed my basic instructions for baking the tofu, and the texture was perfect. Preheat oven to 375 degrees. Place cubed tofu in a medium bowl. In a separate small bowl, whisk together remaining ingredients - pour over tofu. Gently stir to combine. 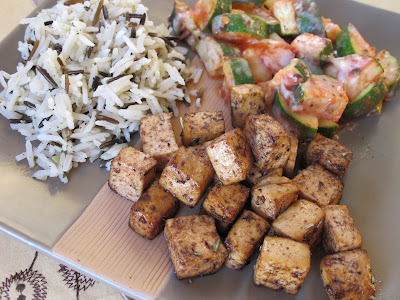 Let the tofu absorb the marinade for about 10-15 minutes. 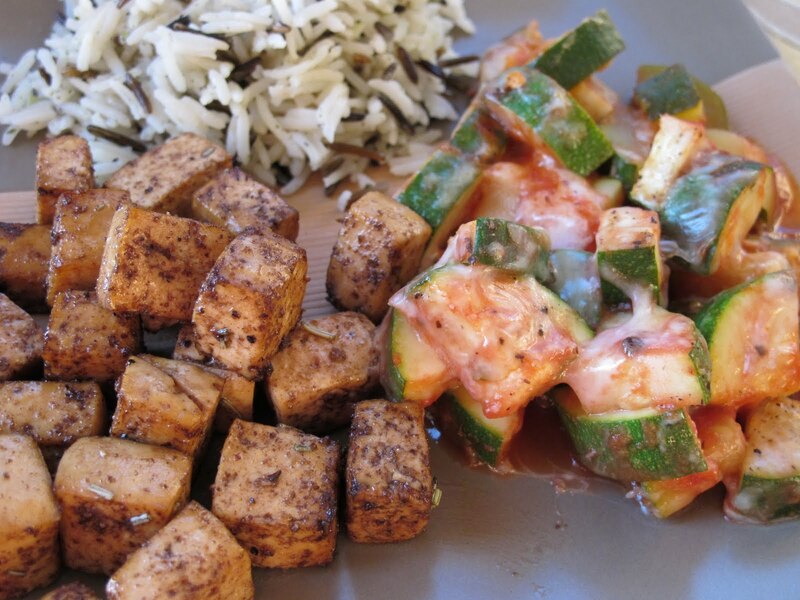 Place tofu on to a baking sheet and bake for 25-30 minutes - flipping the tofu halfway. Enjoy!